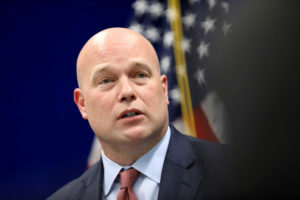 WASHINGTON — House Judiciary Committee Chairman Jerrold Nadler says acting Attorney General Matthew Whitaker has agreed to testify before his panel on Feb. 8. In a letter sent to Whitaker Tuesday, Nadler says he is “happy to have reached an agreement for you to appear” on that date. Trump has nominated former attorney general William Barr for the permanent job, which was vacated by Jeff Sessions last year. A Senate vote to confirm Barr could come as soon as next week.